Millions of people all over the world believe in superstitions, especially good luck superstitions. Nevertheless a lot of other people think of them as nonsense, beliefs not based on reason or solid logic. The origin of the word superstition is from two Latin words: “Super” and “Stare”. Super means above and stare means to stand. We know the source of some of the superstitions are ignorance, but others are based on the prevailing beliefs of those times when they were originated and may have some truth to them, even if a big stretch of the imagination. Do you know anyone who does not have at least one superstitious belief? Most people, more or less, believe in them some superstitions. Even though they deny superstitions, people cannot help believing in them or maybe are just cautious to be on the safe side. Superstitions are all over the world. Good Luck Superstitions and the bad luck ones too change from culture to culture and some and go. Sometimes they have a big influence in our lives, while at other more convenient times we ignore them. Whatever we think of them they just don’t seem to go away. Here are a few good luck superstitions. A falling star or a shooting star is lucky because it is rare to see one and you should make a wish after seeing one as it will be granted. A sharks tooth is said to have protective and healing powers. They are also said to bring good luck. 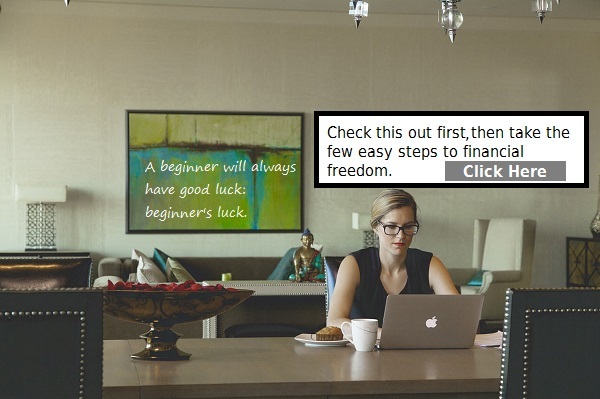 If the palm of your right hand is itchy, then it foretells that money is coming to you, but DON’T scratch it as that stops the money from coming! The cross serves as good luck and a symbol to ward off evil and protect the person who bears it. The number seven is a lucky number all over the world and is important in world religions like Buddhism, Hinduism and Christianity. Over the centuries people have been plagued by bad luck superstitions. It seems that both good luck and bad luck superstitions have been around since ancient man. Because of these beliefs, remedies and charms for warding off bad luck have evolved. Although many don’t believe or follow most superstitious beliefs, many people participate in perpetuating them, even if they know better. Some learned people have said that our beliefs make reality or cause things to “happen” so bad luck superstitions may actually make someone unlucky if they truly believe in them. The same holds true for good luck superstitions. There are different customs present all over the world, which were created thousands of years ago and they still continue to evolve. Even though we in the United States might cherish ourselves in not being superstitious, there are certain customs and traditions we even follow in the modern age; the same old customs that were sometimes known as ‘superstitions’ eons ago. Some are said to dispel bad luck and some are thought to bring good luck. Different cultures have different kinds of good luck superstitions or customs to follow. Old customs never die so it is a normal thing that even today; many countries still practice these customs. There are about seven important and significant symbols, according to English custom. The ancient English people followed some customs that are believed to have warded off evil spirits and bring good fortune. A lucky symbol is the horseshoe even today in the English custom. It resembles the half circle of ‘u’ and is said to bring good fortune. It is made from iron; hence it symbolizes strength and power. It is regarded to be very powerful to repel evil and bring about good fortune. To protect the house from witches and devils, it is nailed at the entrance door of the house. If it is placed in an upright ‘U’ position, then it is said to retain good fortune in the house. According to an old English custom, the hare or rabbit is believed to have an evil eye. The English believe that the hare has miraculous powers. Initially the hare’s foot was considered sacred and lucky but as the rabbit was easily available, so people began switching over to the rabbit’s foot. Many people carried the rabbit’s foot in their purse and pockets as a lucky charm. There is another custom known as the “wishbone custom”. It involved two people who would break the wishbone and thus the one left with a larger piece would make a wish upon it. It is actually the breast bone of a fowl known as ‘frucula’. Many cultures regard the fowl as a sacred bird bringing good luck and fortune. The shape of the wishbone itself is known as a good luck symbol of life and fertility. It is a very ancient English custom to wish upon a wishbone. From the very ancient times, old boots and shoes were regarded as good luck charms. They were kept on the roofs of the houses to ward off evil spirits. They are said to retain good spirit and courage of the house owners. Another very old custom followed by the English was to place a ring on the wedding cake. It is unlucky for a woman to marry a man whose surname began with the same letter as hers. Also, it is unlucky for a woman to design her own wedding dress. Before leaving the house for the wedding ceremony, the bride should have a last glance at the mirror. This brings good luck to her. The English also believe that marriages on a Saturday are considered to be unlucky. After the wedding ceremony, the English bride has to throw the bouquet over her back so as to discard evil fortune behind her and take good luck along with her. The acorn is also considered as a good luck symbol by the English. It is known as an emblem of consciousness, youthfulness and power. The English carry old dried acorns as a good luck charm and as it also represents spiritual growth. These are some of the customs followed by the English people. Most of these have continued to exist and thrive even today. For instance, to make a wedding day auspicious, a bride will follow each and every tradition or several people hang horseshoes just to ward off evil spirits. These are good luck superstitions or beliefs that have continued to mystify us indefinitely. Every country has its own set of superstitions. These are followed from olden times by our ancestors and some of them still rule our lives dramatically. Living in a strange and a wonderful world, our imaginations have become weird and bizarre. The country of North America is a land of superstitions and beliefs. There are tens of thousands of superstitions in North America. Let’s mention some North American superstitions here. A bad omen to put one’s shoes on the bed. Another saying also goes that shoes should not be placed on tables and benches. It interprets the arrival of death in the family. Flying of a wild bird is also a sign of death. On seeing a hearse pass by, closing your eyes, raising your feet and holding your breath will keep away death from your door. It is a common belief in North America not to open an umbrella inside the house. It should be closed or kept upside down. This also denotes bad luck. There is a pleasant surprise in store for one who wears things inside out or backwards. And it is said that this can happen only if one does not correct himself at that time. Breaking of mirrors indicates seven years of bad luck or the death of a close and loving one or the separation from a loved one. The broken pieces of mirror should not be thrown away. Instead it should be buried quickly to avoid such misshapenness. Some superstitions relating to itches are very famous in many cultures. and an itchy right palm means meeting of someone new whereas itchy feet means traveling is on the air. A black cat crossing your path is considered unlucky by North Americans. It is also unlucky to walk under a ladder. and bringing a coal on New Year’s Day from a friend’s home. The number 13 is considered unlucky too. Crossing one’s eye will make them stay that way forever. Looking at the mirror in the night is also a sign of bad luck and so it should be avoided. North Americans also believe that it is unlucky to kill a lady bird. The lady bird or lady bug, depending on which country you are in, is a representation of Virgin Mary. It is thought to be unlucky to spill salt. If by mistake it is spilled, then some of it must be thrown over the left shoulder to avoid bad luck. North Americans also believe that the traditional stories and folktales should not be told in the summer because these stories revolve around nature, and anything from nature is awake during the summers and might take offense on what is said about them. They say that winter was the time of storytelling and not the summers. In America, if a cat sits showing their back to the fire, it means there is going to be a cold spell. Dreaming of a white cat is auspicious in North America. This is the world of superstitions of the great continent, North America. Dropping an umbrella on the floor means that there will be a murder in the house. If a bird flies into your house a death will occur. If a mirror in the house falls and breaks by itself, someone in the house will die soon. If you break a mirror, seven years of bad luck will follow. If you drop a fork, a man will come to visit you. If you drop spoon, a woman will come to visit you. If you peel an apple without breaking the peel i.e. cut around the apple so that the peel is in one long piece, you should throw the peel to the ground and if it lands in the shape of a letter of the alphabet then it is the initial of the person you will marry. If you sweep under someone’s feet, they will never marry. If your ears itch or burn, someone is talking about you. Never say “thank you” when someone gives you a plant or it will die. Two deaths in the community will be followed by a third. When you peel an apple say the alphabet and the letter that you are on when the peel breaks is the initial of the person that you will marry. When your palm itches, you will come into some money. Is it considered bad luck to write now in next year’s diary? Not appointments but addresses and birthdays? Just addresses and birthdays? No problem. 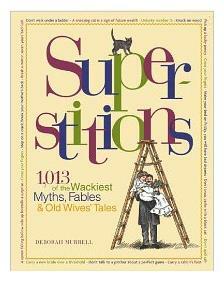 * Superstitions come from various books and websites. Accuracy not guaranteed.